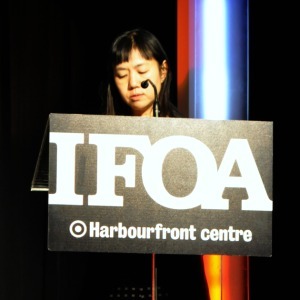 Japan was ably represented at the Harbourfront Centre’s 36th annual International Festival of Authors by the highly prolific and celebrated writer Mitsuyo Kakuta on her first Canadian visit. 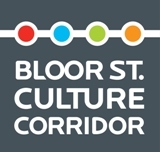 The best-selling author participated in two events, reading selections from her short story Pieces and from her novel The Eighth Day, alongside international writers from such diverse locations as Canada, Spain, Italy and Portugal. She was supported by interpreter Deirdre Tanaka, who voiced her text beautifully and assisted with translation. Following each of her readings, Ms. Kakuta kindly took time to talk with and sign copies of her books for fans. 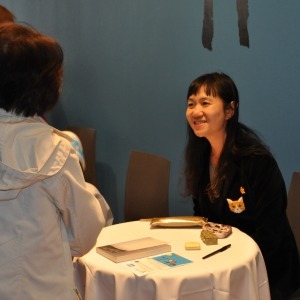 In addition, Ms. Kakuta found a few moments in her hectic International Festival of Authors schedule to add her signature to a stack of IFOA posters, to give interviews and face time to members of the local press, and to pose for photos with fans.